Promising you the best views and a great holiday! Wake up, breathe in some fresh mountain air on your sunny south-facing balcony and gaze in wonder at the spectacular Matterhorn in the early morning light. Every day of your holiday in Haus Maurizio can begin in this fantastic way. 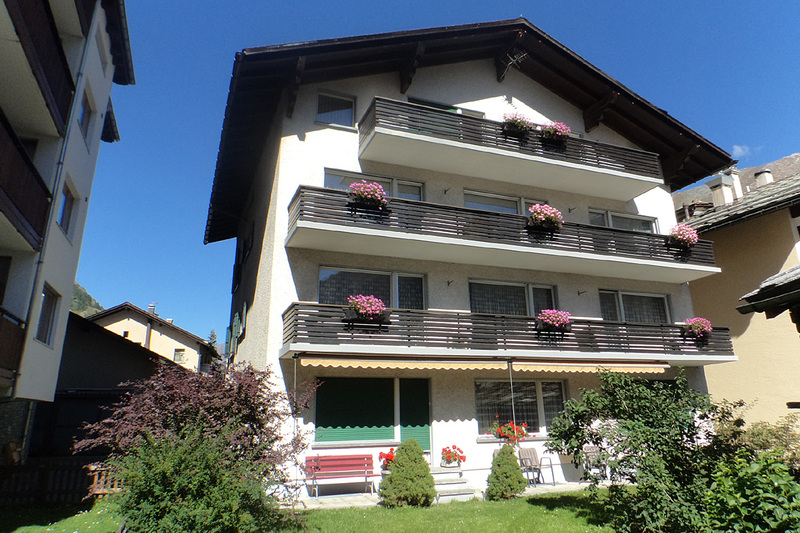 You can look forward to a peaceful and relaxing break right in the centre of Zermatt. We warmly welcome you to our family-run holiday apartment house! You will find peace and quiet in Haus Maurizio – right in the centre of the village. 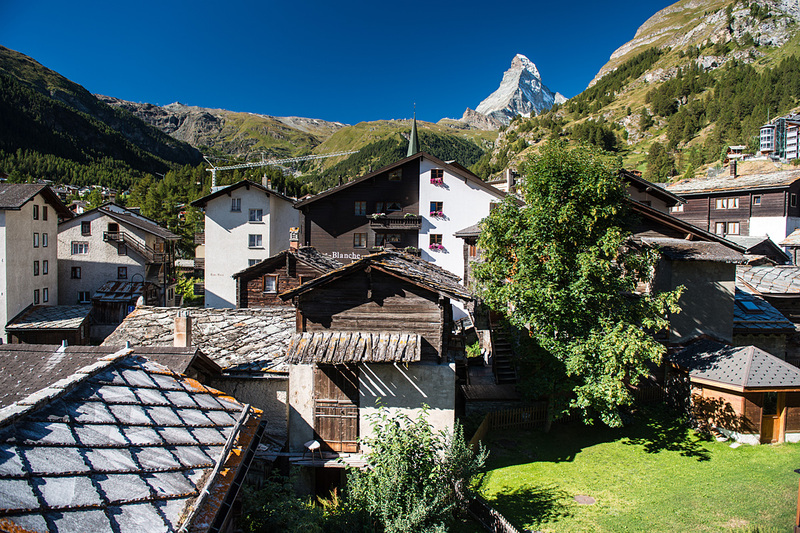 You can still experience the true, authentic Zermatt here in the Hofmattstrasse, with a wonderful view of the heart of the old village of Zermatt. Stroll through the narrow alleys: discover the old granaries and barns made of the blackened larch wood typical of Zermatt. The railway station, the resort stations of the mountain lift system and many of Zermatt’s attractions are within easy reach. Tous les appartements de la maison Haus Maurizio disposent d'un balcon côté Sud avec la vue sur le Cervin ainsi que sur le vieux Zermatt. Dans chacun des quatre appartements vous disposez de deux chambres doubles. Une cuisine séparée donne envie d'y préparer de bons plats et vous pourrez vous installer confortablement dans le salon-salle à manger pour passer en revue tous les bons moments de la journée. Whether you prefer skiing or snowboarding, ice-skating or curling, or maybe hiking, mountain-biking, swimming or tennis, Zermatt offers a wide range of sports in every season. Haus Maurizio is the ideal starting point for sporting activities. But there are also many places nearby where you can just enjoy life and relax – in the form of shopping, going out, or simply sitting in the sun on your balcony ... Enjoy your holiday with us to the full!